You know the saying... "New York, New York, a helluva town .... Well it sure is! I love visiting the amazing city it’s in my top 3 favourite cities in the world and there is no better way to experience the Manhattan Skyline for free with these two options. There are two ways you can see the Brooklyn Bridge, the free option or the $2.75USD option. 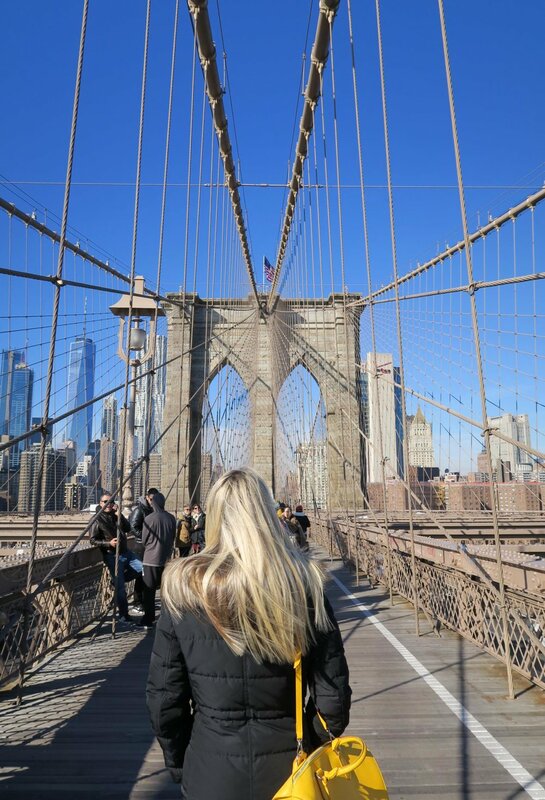 The Free Option - You can walk across the Brooklyn Bridge from Manhattan and get a great view of the city (entrance near New York City Hall and subway stations 4,5 and 6). The bridge can be entered from Centre Street, you will see the other thousands of tourists, it’s hard to miss! The $2.75 USD Option - Even though this is not ‘free’ a really great way to get to Brooklyn Bridge from Manhattan is to spend $2.75 USD and get the ferry across from Manhattan to Brooklyn Bridge Park which we did and the views whilst you are on the East River are awesome! You can catch the ferry from NY Ferry which is located on South St one block down from Wall Street at the East River end. 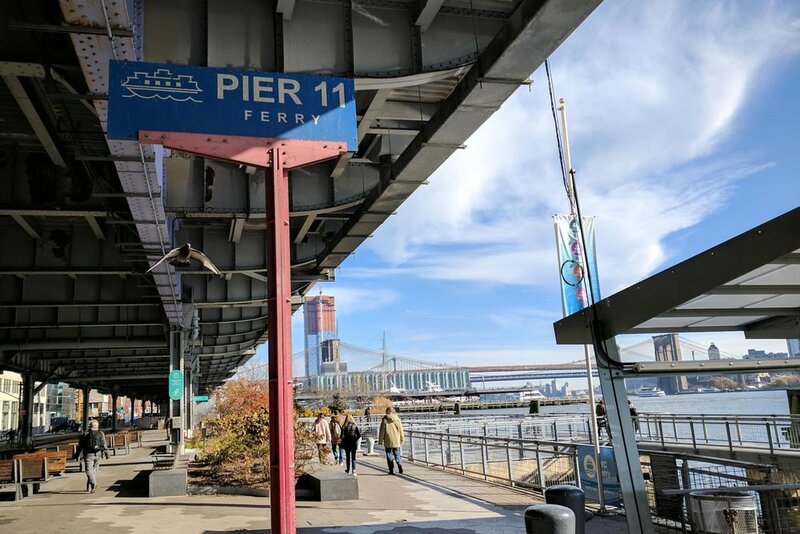 Once you reach Brooklyn Bridge Park walk a few blocks along Front St until you reach Washington St, then walk a block up the little hill where you will find the stairs leading up to the bridge. Follow the signs and you will be fine. Once you reach the top of the stairs you can start walking across the bridge and admire the amazing views! There are two lanes one for pedestrians and one for bikes so watch out and keep an ear out for the bike bells if you get in someone’s way! You can see both Skylines up here of Brooklyn and Manhattan as well as the Statue of Liberty in the distance. The ferry is located at the bottom of Manhattan (The Whitehall Terminal at 4 South Street, Manhattan). Here you get the FREE ferry over to Staten Island. You will get some great views of the Manhattan Skyline plus you can see the Statue of Liberty as well. 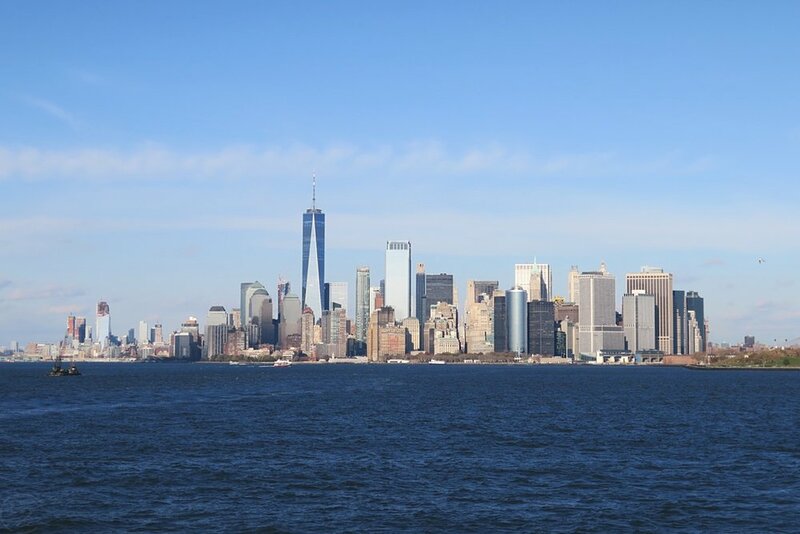 Once you reach Staten Island simply disembark and reboard the ferry again and go back to Manhattan! You can get to the ferry via the subway for $3USD one way from any subway in Manhattan because it’s a flat fee or if you are already staying downtown you can walk there (which I did). The Ferry runs every 30 mins on the hour and half hour so it’s easy to time your tip. This is a nonstop service running night and day. So you can see the view in the light of day or the dazzling lights at night. Both are incredible to see no matter what time of the day or night. It doesn’t matter if you see it night or day this skyline needs to be seen, I mean you can’t come to Manhattan and not experience this, it would be criminal! So, make sure you do one or both of these when you’re in New York.